It’s true. 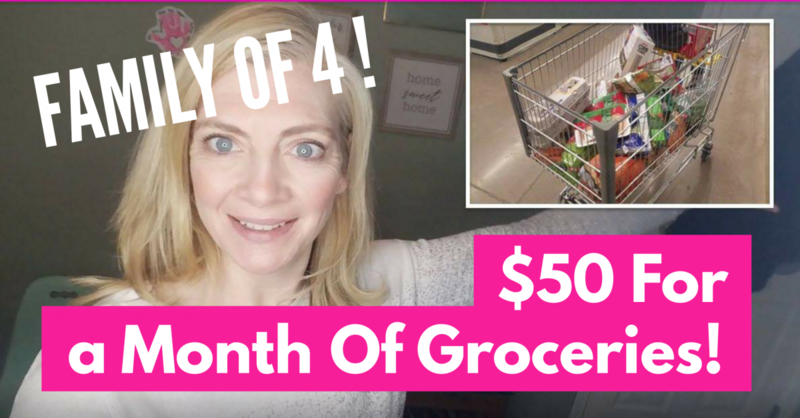 It is totally possible to get 1 month of groceries for only $50, with NO Couponing. I am here to tell you how. Below you will find the recipe list. I do most recipes twice a month. I have included some ” extra ” recipes than what is including MY grocery list. So, you can pick and choose what items you would like. Also, keep in mind that what you have at your house will different then what i have at my house. You will need to read this, AND watch the video below to fully understand how to do this [ GO HERE TO WATCH! ] ! If you are coming from ChristaCoupons youtube ( HERE ) or webpage ( HERE ) – WELCOME. I love her and I welcome you with open arms! The 1st thing you need to do to get $50 In Groceries for 1 Month is take inventory of what you already have. From that create a list, with prices on what you need to get. I get my prices from instacart . I find that about 80% off the prices on instacart are accurate to what they are in the store. When creating my list for the store and for thinking of recipes I only get things that can be used twice or more. Another tip you should know is that the LESS times you go into a grocery store the more money you will save. To make healthier meals , but still stay within my $50 Groceries budget for 1 month I pick less expensive fresh vegetables that can go in anything. Carrots are a great choice! They last for a long time, they can be used in so many different ways AND they are inexpensive. Green beans are a option as well. However, use them 1st because they go bad quicker then carrots. Additionally, I opted for the ” Potato medley ” instead of bulk white potato’s because the medley has purple potato’s. Purple potato’s have excellent health benefits. I always try to get popcorn because it’s an easy , cheap, healthy snack. Especially if you just get the kernels. 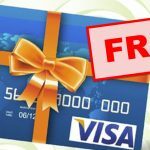 Couponing apps? Yes. Get them! Do I need Coupons to get everything you got? NO! I use coupons above and beyond my list. I do not base my lists on the coupons I have. I eat this on top of rice for a meal and I do not eat it as a ” dip “. Also, add it to a wrap for burrito. You can saute the spinach , or eat it as a salad! ” Veggie Rice Bowel “. Basically we make rice and sautee any veggies we have. Then add the veggies and the rice together with cheese. We like with hot sauce too. Season as you would like. Overall Frittatas are great in expensive meal idea with lots of varieties! Aldi’s has some of the best pre-packaged salads that have all the ingredients in 1 bag. When I went they had a bunch for only $0.99 Cents! Add some toast for a great meal! Pesto with pasta and a side salad. Ceaser Salad. Add toast and or chicken depending on what you have in hand. Quick tip add lemon juice to salad to give it an extra yummy bite. Scrambled eggs, Black beans and toast. For some reason this is one of my favorite dinners. Veggie burgers. Do a side salad or a side of rice. Over all, mix up all these options in different ways and you’ll have plenty of yummy meals that are budget friendly! Here is the EXACT grocery list I used. Again, your needs will vary depending on what you have at home. Combine this list with couponing , gathering your stock up items and before you know it you will be cutting your grocery bill in MORE than half! Do I ONLY spend $50 a month every month? NO. But many months I do! I often rotate between a ” low spending month ” = $50 month and a $150 a month. The ” Low months ” vs ” Higher months ” depend on sales and our needs.. Especially if there is a great deal on stock up items like cheese, pasta, blackbeans, chickpeas or wraps. Overall though every month I have an extremely LOW grocery bills. the 50.00 you spent on groceries, does that include breakfast and lunch? I assume the popcorn was for snacks. It looked like just two packages of chicken. Does that feed a family of 4 for 31 Day? I think that the concept is wonderful. I don’t believe that it’s doable for my family. Maybe if everyone was a toddler. I am going to give it try, since Aldi’s is the store I do my shopping at.